Recently, as my skin has become a lot less oily thanks to my current skincare routine, I've been trying to wean myself off powders. Instead, I've been opting for either setting sprays or this product from Benefit, to help my makeup stay in place, whilst remaining natural looking. After trying Benefit's Dr Feelgood Complexion Balm out for a week or two, here are my thoughts. This silky balm can be used in a multitude of ways, either on its own, underneath or on top of makeup. I always like to wear a base of some description, whether it be a light tinted moisturiser or a heavier, full foundation, so I tend to put this over my makeup. I only occasionally wear face primers, so I doubt I'd use this underneath my makeup and to be honest, when I wear no makeup, I prefer to keep it that way, to let my skin breathe as much as possible, so I wouldn't just wear this alone either. The balm formula instantly mattifies, smooths and gives the skin a more uniformed appearance. Totally invisible, it is virtually undetectable on the skin, just adding a blurred effect to give you a flawless finish. Containing Vitamins A, C and E, if you were concerned about wrinkles and fine lines, Benefit claim that this will help to smooth them. To apply Dr. Feelgood, I use a sponge applicator, pressing it gently into my skin, so as to not rub off my foundation. You do receive a sponge with the product itself, but I just threw it away as it wasn't the highest of quality. It does have quite a strong zesty smell, which I really dislike and lingers even after putting it on my face. This may worry those with particularly sensitive skin, but it hasn't resulted in me breaking out (yet, anyway). One downside, is that the product can make your skin quite dry and cakey looking if you keep topping up throughout the day and use too much. Then again, this is the same with any face product, so the trick is to use the smallest amount that you can. Don't overdo it! In terms of keeping my makeup in place, it does do a good job, but I think more traditional powders products do make it last that little bit longer. It certainly lets your skin look a lot more natural though, if used in the right way, whilst still giving a matte finish. The cute tin packaging is unique, whilst the design of the label keeps it fun, like all Benefit products. As you have to put a sponge into the product and then apply it, it isn't the most hygienic, but as long as your sponges are clean when dipping them in, this should be fine. 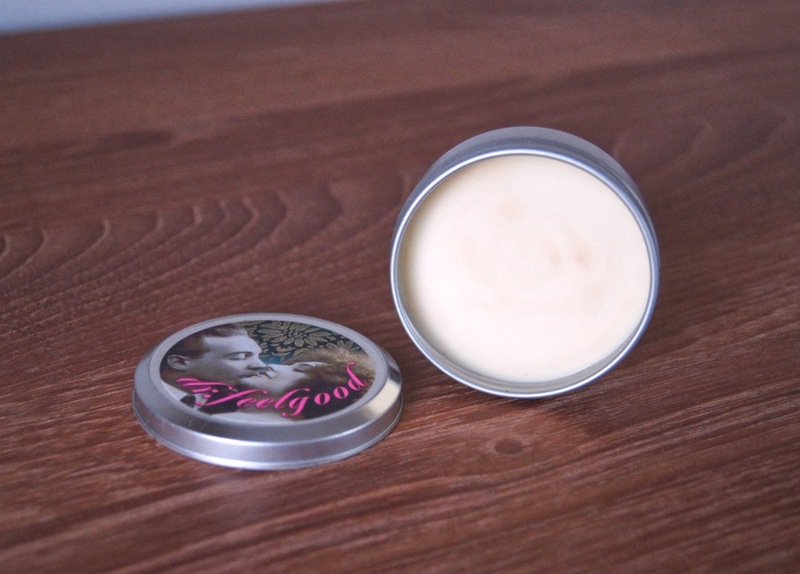 Make sure that you close the lid tightly when you're finished with it, to prevent the balm from drying out and becoming too solid to use. For 24g, you pay £21.50, which is around the price point that benefit are fond of for most of their products. I would say that this is a fair price as you get a lot for your money, just use it sparingly to really get your moneys worth! Have you tried Benefit's Dr. Feelgood? Which is your preferred technique to set your makeup?